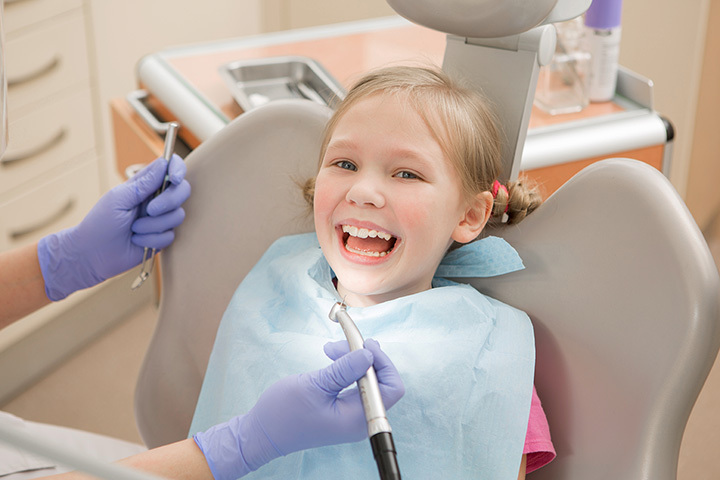 The 10 Best Kid-Friendly Dentists in Rhode Island! Finding a pediatric dentist you trust is vital. Children have to learn about taking care of their dental health from a very young age, and as many parents know, a trip to the dentist is not always the most pleasant experience for a little one. For a positive experience for your child, check out one of these compassionate and professional dentists in Rhode Island! Specializing in kids dental care, from age zero through 18, the emphasis is on prevention. The goal is to monitor tooth growth and development during the growing years to ensure optimal oral health. Follow the guidelines set forth by the American Academy of Pediatric Dentistry, Coventry makes every effort to make you children feel comfortable. Find technology like digital x-rays with low radiation exposure in addition to a fun and "child-friendly" environment. Hunter was such an angel at the dentist yesterday! Children's Dentistry of Coventry is great! Plus he got a ton of stickers which he proceeded to put on his boo-boo's like band aids! The American Academy of Pediatric Dentistry recommends that children establish a primary dentist home by age one. Provide age-specific, comprehensive oral health care with easy accessible and a family-oriented manner. Children who have a dental home are more likely to receive appropriate preventative and routine oral health care, PDC provides every child with a specific prevention plan. Hayden's first dentist apt 😂 ...I have the coolest child! Dr. Drennon provides specialized dental care for infants, children, adolescents, and special needs patients. The office is committed to prevention and education, and strive to make every experience a positive one, which is pretty clear considering their online rating. Find services like assessing the amount of space available for incoming teeth, checking whether primary teeth are being shed in good time for adult teeth to emerge, Evaluating the progression of bone disease, and revealing impacted wisdom teeth. William Chan & Associates is built on a practice that is built upon honesty, communication, and service. Every treatment plan will be clearly explained and all available options are always shared. Patient care is the highest priority, and at WCA they treat your family the way they would their own family. They work relentlessly and gently with children to instill ensure a recognition of the importance of proper oral hygiene and the benefits that come from it. At Children’s Dentistry, they believe in a checklist of appropriate care. From communication to building relationships with integrity and caring, the teamwork at CD is top notch. By working closely with patients and parents, at CD they understand that by working collaboratively they can provide the best care. Plus, at CD they promise they will always bring a positive attitude to any interaction they have with you or your family, including special needs patients. This small, state-of-the-art office strives to provide the highest quality care while respecting your budget. With focus on patient dental needs on an individual basis, services range from an orthodontist, pediatric dentist, endodontics, and prosthodontics. From pediatric to adult care, this family practice provides care for the entire family. Dr. Paul & Joseph Matrullo and Associates practicing family dentistry and cosmetic dentistry since 1976. The father-son team and staff are dedicated to creating healthy, beautiful smiles for patients of all ages. Pediatric Dentist Matthew W. Downey offers a full line of pediatric dentistry. He offers an environment that is warm and caring and he will teach you and your child the proper way to take care of their teeth while emphasizing that it can be a fun activity. Your child’s oral and dental development is a continuing work in progress, presenting different challenges and issues as your child grows. Good oral health is a key contributor to your child’s social and emotional wellbeing as well as his or her performance in school. Applebaum offers a full range of services to suit each patient. Through preventive hygiene therapy and restorative and cosmetic dentistry, they keep your teeth and gums healthy and your smile bright. Plus, they will always take the time to listen to your questions and make the necessary accommodations to ensure your experience is warm and relaxing. At Dental Associates of Cumberland, you will get quality care, an experienced doctor who can effectively diagnose and treat your needs, and a friendly dentist who counsels you on how to maintain and improve your health. Plus, you will be encouraged to be the best you can be through education and counseling, and a comfortable and convenient setting.